This guide was written as an April Fool's joke, and was meant only as a bit of fun and laughs. There really is no "Mass Production" quest in RuneScape! Speak to Rantz in the Feldip Hills. Head to Rantz in the east of the Feldip Hills, south-east of Gu'Tanoth, and talk to him. 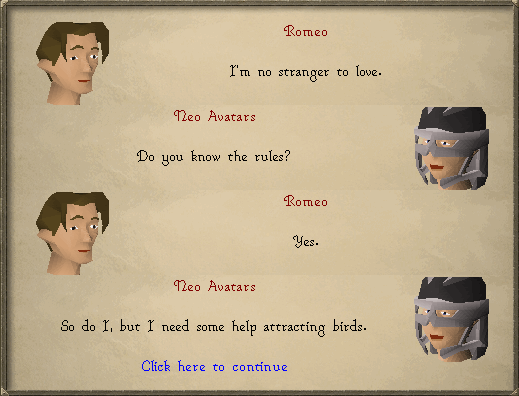 He will explain that he finds using the 'stabbie chucker' too slow and he wants a quicker way to kill Chompies. Luckily he has heard word from his children that a tribe on Karamja knows of an effective method that requires little effort to catch flying prey, so head to Tai Bwo Wannai Village and talk to Murcaily who can be found just west of the Teak and Mahogany enclosure. Ask him about methods of hunting flying prey and it will become clear that he does know a great method, although he wants you to get your favor to the village up to 90% first. Complete various tasks around the village such as hacking away at the jungle growth, staying safe from the potentially poisonous monsters that may appear. Once your favor has reached 90%, speak to Murcaily again and he will explain how to build a contraption to catch flying prey as well as which NPCs have the parts required to construct it. Head back to Rantz and tell him about the contraption that could be built, although would have to be positioned on the large flat area slightly to the south of him. After a small amount of persuasion he will accept that his area can be built on and you will need to go off and collect the parts from various NPCs. Note: The parts can be collected in any order and do not have to be obtained in the order stated within the guide. Also, for each NPC , if you are wearing a specific item or outfit related to them when obtaining the contraption part you will be given a lamp that will grant you 1000 experience in a skill of your choice. To obtain the Arrow Cannon that will shoot the Chompies out of the sky, head to the Ranging Guild and talk to Armour Salesman, who happens to be wearing the Ranging Skill Cape. He will be happy to give you the Arrow Cannon, although first wants you to prove your ranging competence. To do this you will need to score at least 500 points in the Archery Competition Mini-Game, also found within the Ranging Guild. Talk to the Armour Salesman again and he will give you the Arrow Cannon. You will receive the experience lamp if you have a Crossbow equipped. 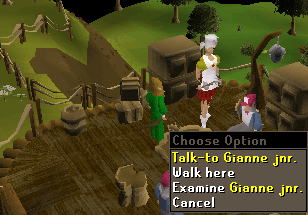 To attract large numbers of Chompies many more ingredients than Bloated Toads will be needed, so 'bait' will come from multiple NPCs, one of which is Gianne Jnr from the Gnome Restaurant. He can be found on the western side of the Grand Tree, so talk to him and ask about Chompies' favorite foods. After contemplating with himself, he will decide to tell you the magic ingredient after you have completed a task for him. This involves being shown a number of clips of the gnome Longramble, with a number of options stating his location. Once you have correctly named seven locations you will be told that the magic ingredient to lure Chompies is Oranges rubbed into the skin of Bloated Toads, an item that you can buy from the shop a few paces to the north of Gianne Jnr. You will receive the experience lamp if you are wearing Gnome Goggles or a Gnome Scarf. Although Bloated Toads with a hint of Orange may be a delicious meal, more food is still required to lure the Chompies. 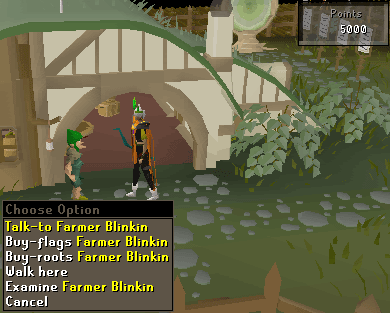 Head to the Vinesweeper Mini-Game via one of the many Tool Leprechauns around RuneScape and, once inside, talk to Farmer Blinkin. Ask him about crops that birds, not Rabbits, will do anything to get their beaks on. He will, as expected, know of a good seed for this task, although will need your help around the farm first, requiring you to obtain 5000 Vinesweeper points. Once you have 5000 points (no, you don't need 215,000 points! ), talk to Farmer Blinkin again and he will give you some Fruitgrass Seeds which can be planted around the Chompy Hunting contraption to attract more birds. You will receive the experience lamp if you have Magic Secateurs equipped. Now that all the Food and smells have been sorted out, Chompies are known to like specific sounds and who knows more about the sounds of attraction that Romeo? Head to Varrock square and talk to him. 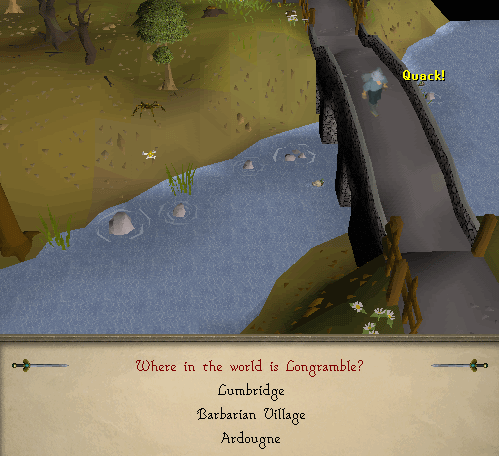 Ask him about what sort of sounds Chompies would like and although he doesn't initially know what Chompies are, an explanation will twig his memory and he will write some music for you as long as you will buy him a copy of the Varrock Herald. This can be bought from Benny, who is also found within the Varrock square, for 50gp. Once you have a copy of the Newspaper talk to Romeo again and he will give you a piece of music he has written that will attract large numbers of Chompies. You will receive the experience lamp if you are wearing a Pink Skirt. Once the Chompies have been baited and shot at, you need to be able to easily remove the feathers without effort. Helpfully, the Knights at the Void Knights' Outpost have perfected a technique to complete this task. Talk to one of the Void Knights around the Outpost and ask about Humane Feathering. They will explain that the item that they have created to solve the feathering problem and would be happy to give it to you. Unfortunately they have an afterthought and decide that you must obtain 10 Pest Points before being given a copy of the valuable item. Once you have obtained 10 Pest Points, talk to a Void Knight again and they will give you a Void Feather Remover. You will receive the experience lamp if you are wearing any Void Armour or the Void Mace - one lamp per item. Having killed and feathered the Chompies, it will need to be possible to remove the Meat and Feathers from the contraption. 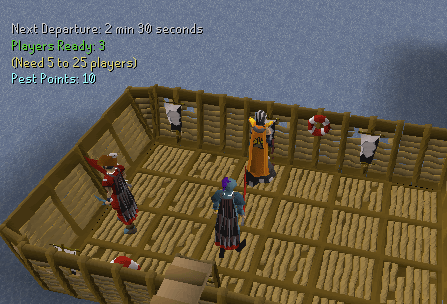 To solve this problem, head to the Brimhaven Agility Arena and speak to Cap'n Izzy No Beard. He will explain that he could create a walkway system that would be camouflaged among Fruitgrass, although needs you to get him 10 Agility Tickets as payment. 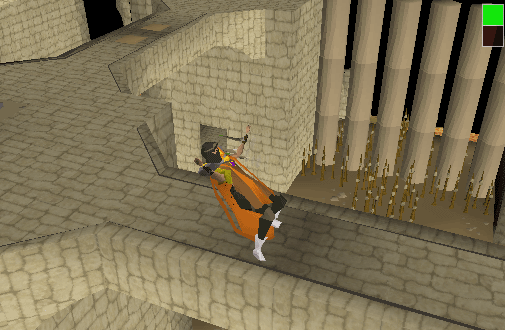 Pay the 200gp entrance fee to the Arena and tab enough pillars to get the required tickets. Once you have all the tickets you need, talk to Cap'n Izzy No Beard again and he will give you a flatpacked Walkway Kit. You will receive the experience lamp if you are wearing any piece of Pirate Clothing. 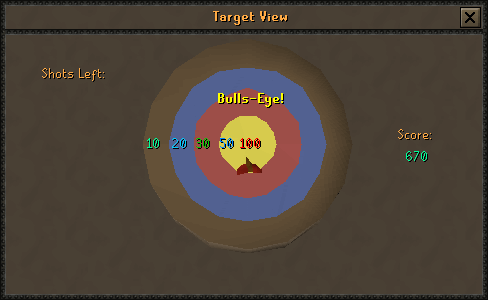 So that you can constantly kill Chompies, the supply of Arrows must not dry up. 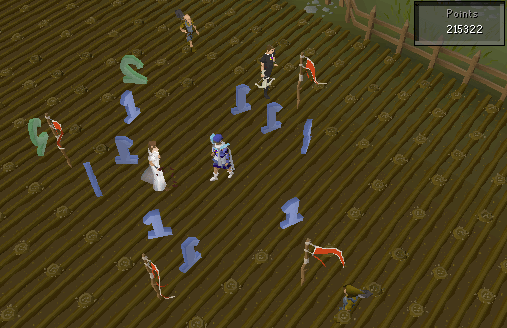 Head to the Impetuous Impulses Mini-Game via a crop circle either in Zanaris or another grain field around RuneScape. Once inside, speak to the Elnock Inquisitor and ask about Fletching large numbers of small Arrows. It will clearly be a difficult machine to make due to the small items being handled, although he believes that with loot from enough Implings he will be able to create it. In total he needs Implings with a combined level requirement to catch of 400. You are able to take Implings to the Inquisitor one by one to make sure you don't collect too many, although this is likely to take time moving through the maze rather than just estimating how many more you need. Once you have given the Elnock Inquisitor all the Implings he needs, he will be able to construct a flatpacked Arrow Forger from all the small items they are carrying that will be able to create enough Arrows to keep killing Chompies constantly. You will receive the experience lamp if you have a Dark Bow equipped. Now that you have all the parts, head back to Rantz to construct the 'big stabbie chucker'. Talk to him with all the components given by the various NPCs, a Hammer, Saw, Seed Dibber and Spade in your inventory and a cut-scene will follow, showing the big stabbie chucker being built, the Fruitgrass growing and several Chompies being killed, feathered and taken into a hole in the hillside. Talk to Rantz again to complete the Quest! Part of the reward involves upgrades to several Mini-Games, each of which are explained here. 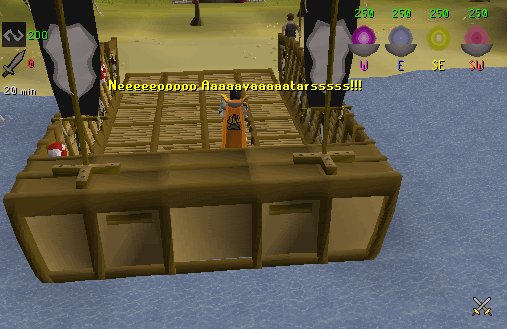 When entering a game of Pest Control, if you have a piece of Void Armour equipped, you will arrive a second before everybody else, yelling out your username. The shield on one of the portals will already have dropped, meaning you are able to go and attack it immediately rather than having to wait several seconds. 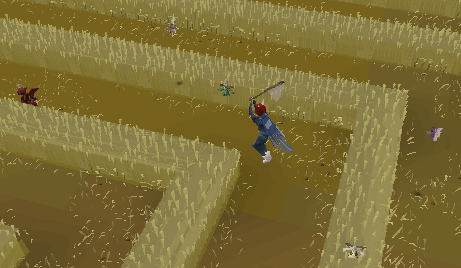 The Chompy Hats with either 3 or 5 feathers that can be obtained from Rantz after killing Chompies will have a Range attack bonus ranging from +1 on the Ogre Woodsman Hat to +12 on the Expert Dragon Archer Hat. If your team is losing by 5 or more flag captures in Castle Wars, you will be able to cast either Zamorak's Vengeance or Saradomin's Wrath depending on which team you are on. This will give you and any other team members, who have completed the Quest, in the surrounding nine squares a boost equivalent of drinking a Super Set, although can only be used once per person per game.